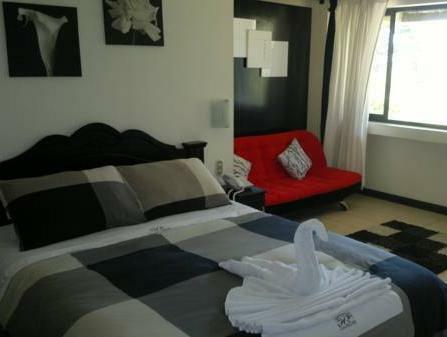 ﻿ Best Price on Hotel Eskalima in Alajuela + Reviews! 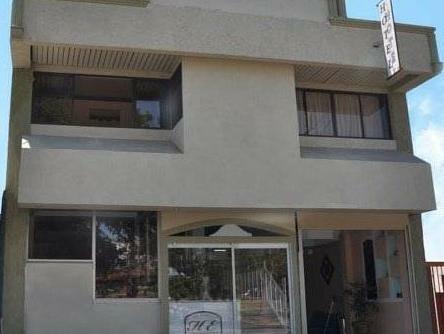 Hotel Eskalima is in the centre of Alajuela, 5 minutes’ drive from Costa Rica’s Juan Santamaria International Airport. The hotel offers 24-hour reception, free Wi-Fi and free parking. 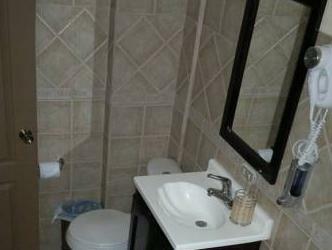 All accommodation has a flat-screen cable TV, DVD player and a private bathroom. Suite has a seating area with a sofa bed a spa bath. A laundry service is available for an extra charge and luggage storage is offered. You can hire a car from the tour desk and an airport shuttle service is available for an extra charge. After 2 nights in San Jose, I wanted to stay close to the SJO airport before flying out. 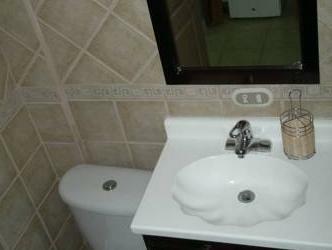 After reviewing Alajuela hotels, I choose Eskalima for its cleaniness/comfort, close location to the bus terminal to airport and from San Jose (2 blocks) and value. The staff was friendly and helpful - made me breakfast at 4am. This hotel far exceeded my expectations! staff was young, spoke decent english, and were really nice. hotel is very clean and safe. we had a total of 3 rooms, none with windows to the outside, which is always irritating, but the rooms were clean and nicely accoutered. the city (alujuela) is a total bust with only one redeeming feature -- it's very near the airport. breakfast was included and was typical uninteresting costa rican gallo pinto. can't blame the hotel for an entire country's lack of imagination in food. Un tout simple petit hotel a deux pas de l aeroport, propre, correctement agence avec un personnel tres attentif.